The Allegra Freestanding Relax Series has an organic styling appeal with a luxurious circular design, which makes it a perfect fit for any upscale bathroom project, especially since it features a сhromotherapy and air massage system for added luxury. The convenient built-in seating and four armrests, as well as the ergonomic interior, makes this model an ideal soaking tub for long and superbly spacious full body soaks for one, two or more bathers. The premium acrylic material used from Lucite International provides this tub with excellent heat retention, thick walls, and durability. One of our largest bathtubs, with a water capacity of 145 gallons, The Allegra Relax is available in a variety of custom color options, including white, monochrome, pearl or granite making it easy to work into any bathroom scheme. 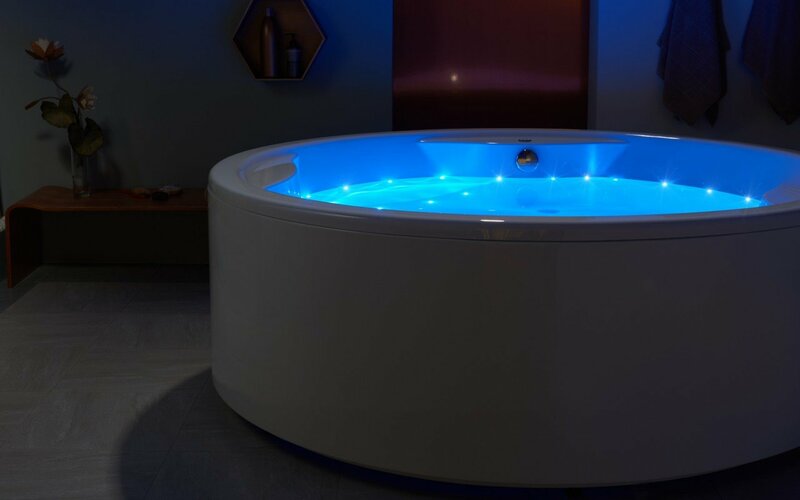 This tub comes with over 20 low-profile air jets that come with an electric control allows you to change the variable speed massage system which helps function the wave and pulse modes. This model also comes with an underwater сhromotherapy system with a slow color rotation or fixed color mode in one of 6 available tones with 24 low profile LEDs. A very generous circular tub, the gently sloping sides of which flare out to 67.75” (172 cm) at the top and 16.5” (42 cm) depth. Plenty of room for one person to really stretch out and relax, or for two people to enjoy intimate bathing without compromising their space in any way. The convenient built-in arm rests complete the luxury of Allegra for every bather. There is simply no better name for Aquatica’s superb air massage system. It primary purpose is to let you to lie back and relax in your bathtub, whilst the myriad warm air bubbles caress and gently massage your skin. The Relax system is the result of Aquatica’s continued drive for excellence and innovation in order to take bathing to new heights of luxury and health-giving invigoration. 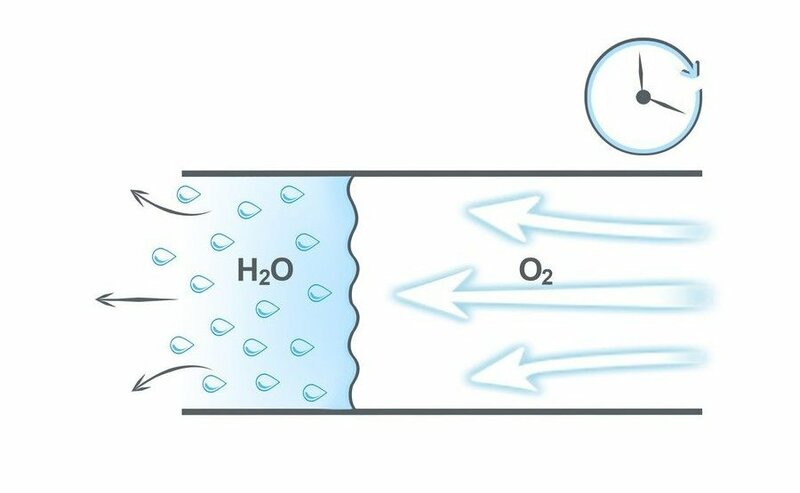 At least sixteen low-profile air jets deliver thousands of warm bubbles into the bath, with variable speed electronic control for wave or pulse modes at different pressures. Our Relax series air massage bathtubs are equipped with an automatic purge cycle, which activates the blower 30-45 minutes after draining and blows any stranded water from the system to ensure that your tub is sanitized and ready for the next use.